Inheritance tax (IHT), depending on your point of view, is either a perfectly acceptable way of raising taxes or an unfair way of imposing a second tax on income that has already been taxed. It has caused wrangling between and within political parties for years and tweaks have been made to the rules, but for the time being at least it is here to stay. And it is also clear that increasingly large numbers of people are being affected by IHT. 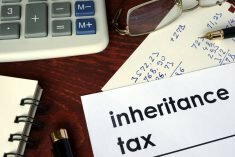 Inheritance tax planning: can I avoid IHT? If your estate is large enough to incur inheritance tax, then this has to be paid to the Treasury. Not only that, it has to be paid before the remainder is distributed to your beneficiaries – the Government gets its share first! But during your lifetime there are steps you can take to mitigate the amount of tax that will have to be paid. One way is to take out a life assurance policy or policies, whose purpose is to cover the inheritance tax bill, so freeing up your estate to go to your beneficiaries. Significantly, such policies can be written into trust, so are not then counted as part of your estate for inheritance tax purposes. Indeed, you can link your estate to various trusts, so funds are transferred out of your estate whilst you are still alive. There is a double benefit, in that you get the interest and income produced, but the capital element is outside your estate, as it is owned by a trust. The key for reducing IHT is to plan ahead, so you minimise your inheritance tax bill and maximise the amount you can pass on to your loved ones. If you would like to talk about inheritance tax planning and trusts, please get in touch with the team at Hartsfield.